Softens fine lines and wrinkles, helps to smooth coarsely textured skin, decreases the appearance of scarring, decreases pore size, and reduces superficial hyper-pigmentation, also known as age spots. 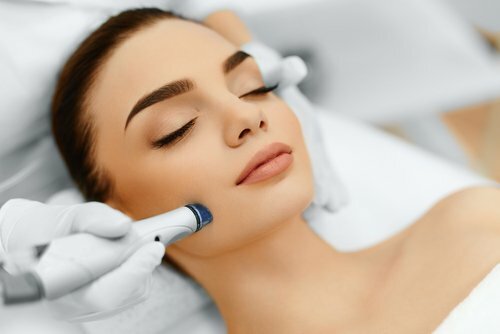 Microdermabrasion also makes it easier for high-tech skin care products to penetrate into the deeper layers of the skin and help build collagen, which gives skin its youthful appearance. Is your step up from our traditional facial treatments, targeting all your concerns using micro needles to stimulate collagen and elastin whilst infusing concentrated products deeper into the skin to also combat dehydration, pigmentation, ageing, scaring and enlarged pores. The end result is fresher brighter skin.